Fracture initiated at the location indicated by the arrow, where the corner of a snap-ring slot was specified to have a zero minimum radius. 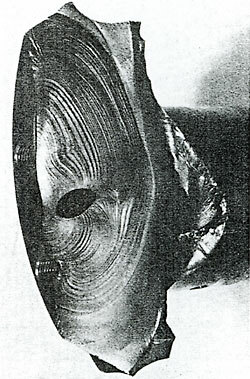 Fracture surface is that of a forging of AMS 6434 (vanadium-modified 4335) steel that was heat treated to a yield strength of 190,000 psi. Fig. 3. 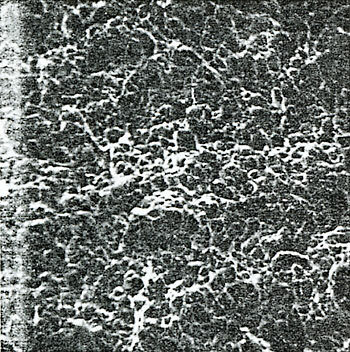 Fracture surface exhibiting a chevron pattern (at left) pointing toward fracture origin, at a sharp corner.